Your itinerary includes some good beach time at Bronte Beach and Terrigal Beach. You'll discover tucked-away gems like North Head Sanctuary and Sam Fiszman Park. Get out of town with these interesting Sydney side-trips: Bouddi National Park (in Killcare), The Entrance Pelican Feed (in The Entrance) and Palm Beach (in Palm Beach). Next up on the itinerary: wander the streets of Whale Beach, take in the spiritual surroundings of Nan Tien Temple, enjoy the sand and surf at Shelly Beach, and look for all kinds of wild species at The Crommelin Native Arboretum. To find other places to visit, more things to do, where to stay, and more tourist information, go to the Sydney trip itinerary planning website . Use the Route module to find travel options from your starting location to Sydney. July in Sydney sees daily highs of 21°C and lows of 9°C at night. Finish your sightseeing early on the 18th (Thu) to allow enough time to travel to Hobart. On the 18th (Thu), look for all kinds of wild species at Wildlife Areas. On the next day, enjoy the sand and surf at Kingston Beach, then identify plant and animal life at Raptor Refuge, then enjoy the sand and surf at Seven Mile Beach, and finally brush up on your knowledge of spirits at Lark Distillery. 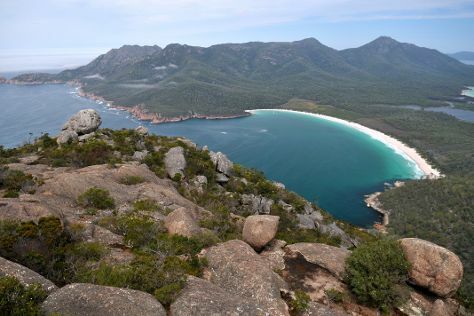 For other places to visit, where to stay, photos, and more tourist information, read Hobart trip itinerary planning site . Fly from Sydney to Hobart in 4.5 hours. Alternatively, you can do a combination of train, ferry, and bus; or do a combination of bus and ferry. In July, Hobart is little chillier than Sydney - with highs of 15°C and lows of 4°C. Cap off your sightseeing on the 20th (Sat) early enough to travel to Tullah. Tullah is a town in the northern part of the West Coast Range, on the west coast of Tasmania, about 111 km south of Burnie. 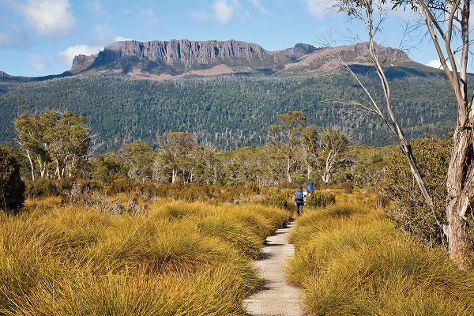 On the 20th (Sat), trek along The Overland Track. To see maps, more things to do, ratings, and more tourist information, read our Tullah trip maker app . You can drive from Hobart to Tullah in 4.5 hours. On the 21st (Sun), wrap the sightseeing up by early afternoon so you can travel to Launceston. Start off your visit on the 21st (Sun): take in the dramatic scenery at Lilydale Falls. To see maps, traveler tips, other places to visit, and other tourist information, refer to the Launceston tour planner. Drive from Tullah to Launceston in 2.5 hours. In July, daytime highs in Launceston are 13°C, while nighttime lows are 2°C. Wrap up your sightseeing by early afternoon on the 22nd (Mon) to allow time for the car ride to Bicheno. Bicheno is a town on the east coast of Tasmania, Australia, 185 km north-east of Hobart on the Tasman Highway, with a population of 853. Kick off your visit on the 22nd (Mon): take some stellar pictures from Whalers Lookout. To find maps, photos, traveler tips, and more tourist information, you can read our Bicheno attractions planner. You can drive from Launceston to Bicheno in 2.5 hours. Other options are to do a combination of bus and taxi; or take a bus. July in Bicheno sees daily highs of 13°C and lows of 2°C at night. Wrap up your sightseeing on the 24th (Wed) early enough to drive to Hobart. Kick off your visit on the 24th (Wed): get interesting insight from Tours. Here are some ideas for day two: buy something for everyone on your list at Cat and Fiddle Arcade, then sample the fine beverages at Lark Distillery, and then enjoy the sand and surf at Seven Mile Beach. To see where to stay, photos, other places to visit, and tourist information, read Hobart tour planner . Traveling by car from Bicheno to Hobart takes 2.5 hours. Alternatively, you can take a bus. Wrap up your sightseeing on the 25th (Thu) to allow time to travel to Katoomba. Start off your visit on the 26th (Fri): take in breathtaking views at Pulpit Rock Lookout, admire all the interesting features of The National Pass, and then explore and take pictures at Lincoln's Rock. To see where to stay, more things to do, photos, and other tourist information, refer to the Katoomba trip planning tool . Traveling by combination of flight and train from Hobart to Katoomba takes 6.5 hours. Alternatively, you can do a combination of bus, flight, and train; or do a combination of car and ferry. When traveling from Hobart in July, plan for somewhat warmer days in Katoomba, with highs around 20°C, while nights are about the same with lows around 3°C. Cap off your sightseeing on the 26th (Fri) early enough to go by car to Pokolbin. On the 27th (Sat), tee off at Hunter Valley Golf & Country Club and then do a tasting at Petersons Wines. To see reviews, ratings, other places to visit, and tourist information, use the Pokolbin travel itinerary planner. Traveling by car from Katoomba to Pokolbin takes 3.5 hours. Alternatively, you can do a combination of train and taxi; or do a combination of train and bus. In July, plan for daily highs up to 20°C, and evening lows to 7°C. Finish up your sightseeing early on the 27th (Sat) so you can go by car to Port Macquarie. Step off the beaten path and head to Saltwater National Park and Booti Booti National Park. Take a break from the city and head to Wingham Brush Nature Reserve and Tuncurry Rock Pool. There's still lots to do: sample the tasty concoctions at Black Duck Brewery, tour the pleasant surroundings at Lake Cathie Foreshore Reserve, relax and rejuvenate at some of the top local wellness centers, and contemplate the long history of Port Macquarie Historic Court House. To see traveler tips, photos, and other tourist information, refer to the Port Macquarie road trip tool . Getting from Pokolbin to Port Macquarie by car takes about 3.5 hours. Other options: take a bus; or take a train. When traveling from Pokolbin in July, plan for little chillier days in Port Macquarie, with highs around 13°C, while nights are about the same with lows around 9°C. Wrap up your sightseeing on the 31st (Wed) to allow time to travel to Yamba. Yamba is a town in northern New South Wales, Australia at the mouth of the Clarence River. Kick off your visit on the 1st (Thu): tour the pleasant surroundings at Spooky Beach, then kick back and relax at Turners Beach, and then take some stellar pictures from Maclean Lookout. To find reviews, other places to visit, photos, and other tourist information, use the Yamba journey planner . Traveling by car from Port Macquarie to Yamba takes 3.5 hours. When traveling from Port Macquarie in July, plan for a bit warmer days in Yamba, with highs around 23°C, while nights are a bit cooler with lows around 5°C. Cap off your sightseeing on the 1st (Thu) early enough to travel to Byron Bay. Here are some ideas for day two: trot along with a tour on horseback, then get great views at Pat Morton Lookout, then explore the activities along Lake Ainsworth, and finally look for gifts at Truly Tea. For photos and other tourist information, read our Byron Bay trip site . You can drive from Yamba to Byron Bay in 2 hours. In August in Byron Bay, expect temperatures between 25°C during the day and 8°C at night. Wrap up your sightseeing by early afternoon on the 4th (Sun) to allow time for the bus ride to Gold Coast. Kick off your visit on the 4th (Sun): try for a hole-in-one at Putt Putt Mermaid Beach and then enjoy the sand and surf at Burleigh Head National Park. On the 5th (Mon), you'll have a packed day of sightseeing: explore the wealth of natural beauty at Natural Bridge. 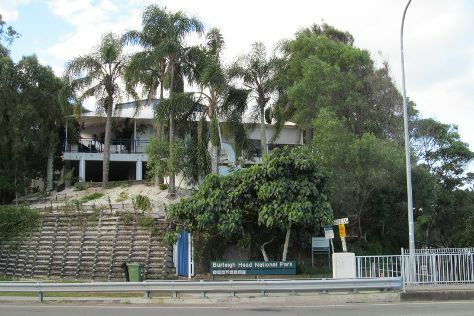 To see photos, maps, where to stay, and tourist information, refer to the Gold Coast day trip tool . Getting from Byron Bay to Gold Coast by bus takes about an hour. Other options: drive. Expect a daytime high around 25°C in August, and nighttime lows around 11°C. Wrap up your sightseeing on the 5th (Mon) early enough to drive to Brisbane. You'll discover tucked-away gems like Buderim Forest Park and Maleny Dairies. Visiting Scuba & Snorkeling and Kondalilla Falls will get you outdoors. Change things up with these side-trips from Brisbane: Fudgyboombahs (in Montville), Bee Gees Way (in Redcliffe) and Mary Cairncross Scenic Reserve (in Maleny). Spend the 9th (Fri) with some fine spirits on a distillery tour. To see maps, where to stay, and tourist information, read our Brisbane day trip planning site . You can drive from Gold Coast to Brisbane in an hour. Other options are to take a bus; or take a train. Expect a daytime high around 25°C in August, and nighttime lows around 11°C. Wrap up your sightseeing on the 9th (Fri) to allow time to travel back home.